Sometimes good design manifests in surprising ways. One would expect to find many lovely things wandering through the cobblestone streets and alleyways of Venice. Stellar gelato? Check. Kitchsy glass gondolas? Check. 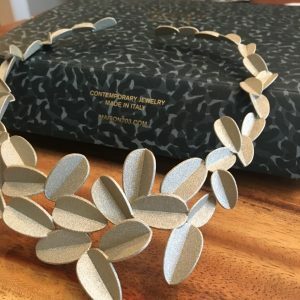 3D printed necklaces that look like precious metals? Those of us in creative fields are often drawn to places and objects that display th oughtful, innovative design, so it’s no surprise that the incredibly artful creations of Italy’s Maison 203 caught our eye. 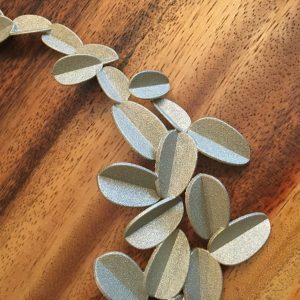 It was surprising, though, to learn that the necklace we coveted — the one that looked as if it were wrought from silver, forged in angles and burnished to shine — was actually nylon melted and extruded through a 3D printer. They declare their work conceptual yet decorative, and we agree. It’s a fine example of technology meeting art — after being composed from the printer, an artist colors and finishes each piece with careful attention by hand. 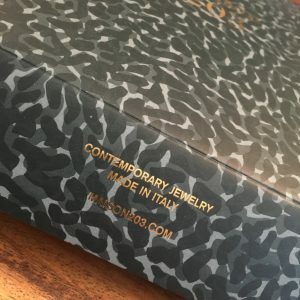 Now, we’re not trying to sell Maison 203’s products; there are indeed only a few dozen places in the world that do so and we’ll let you hunt them down on the company’s website. We wouldn’t want to deprive you of possibly using this as an excuse to take a trip to Venice, where one of their two flagship stores recently opened. Pick up a cheesy glass gondola for your Christmas tree while you’re there. We simply wish to share good design when we see it, wherever it may be, and in whatever form — surprising or not — we may find it.